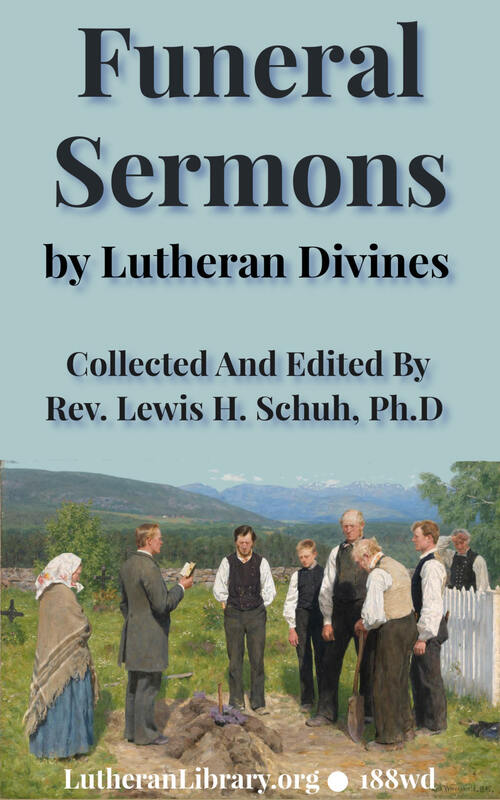 An excellent collection of 57 sermons were delivered by Revs. Lenski, Tressel, Schuh, Gohdes, Bauslin, Troutman, Long and others. Particularly good are numbers 12, 19, 22, 30, 38, and 45. “You are today directed to God’s Word by God’s servant. You are told where God’s fountains of comfort flow. You are being pointed to the green pastures and the living waters of God’s Word. 1. God’s Will For Our Little Ones By Rev. Prof. R. C. H. Lenski, D. D.
2. The Heavenly Father’s Way With The Little Children By Rev. Walter E. Tressel, A. M.
5. Jesus And The Children By Rev. Albert T. W. Steinhaeuser, D. D.
8. The Two Sides Of God’s Providence By Rev. L. H. Schuh, Ph. D.
14. Jesus Christ Is The Conqueror Of Death By Rev. L. H. Schuh, Ph. D.
16. Jehovah Hath Put A New Song In My Mouth By Rev. Walter E. Tressel, A. M.
18. Come Unto Me By Rev. Walter E. Tressel, A. M.
21. Be Thou Faithful Unto Death By Rev. Walter E. Tressel, A. M.
23. I Am The Resurrection And The Life By Rev. Walter E. Tressel, A. M.
24. 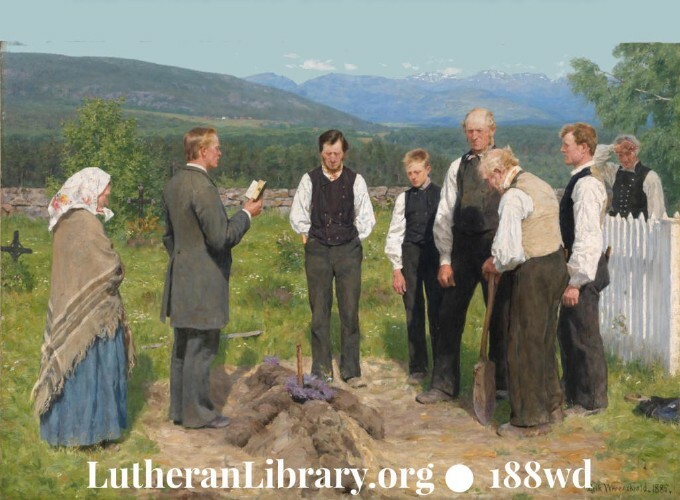 What Comfort Do The Scriptures Give Us Concerning Our Dead? By Rev. L. H. Schuh, Ph. D.
28. Our Conversation By Rev. Simon Peter Long, D. D.
29. A Vision Of Heaven By Rev. G. J. Troutman. 30. Who Will Enter The Kingdom Of Heaven? By Rev. G. J. Troutman. 32. Faithfulness Is The Crowning Glory Of The Lord’s Servants By Rev. L. H. Schuh, Ph. D.
33. The Illumination Of Death By Rev. Prof. David H. Bauslin, D. D.
36. What Must I Do To Be Saved? By Rev. L. H. Schuh, Ph. D.
41. I Know That My Redeemer Liveth By Rev. Walter E. Tressel, A. M.
42. Behold, The Bridegroom Cometh! By Rev. W. Hoppe, D. D.
43. The Christian’s Comfort In View Of Death By Prof. J. Stump, D. D.
52. What Makes The Christian Willing To Depart? By Rev. L. H. Schuh, Ph. D.
55. The Christian’s Comfort In The Hour Of Death By Rev. L. H. Schuh, Ph. D.